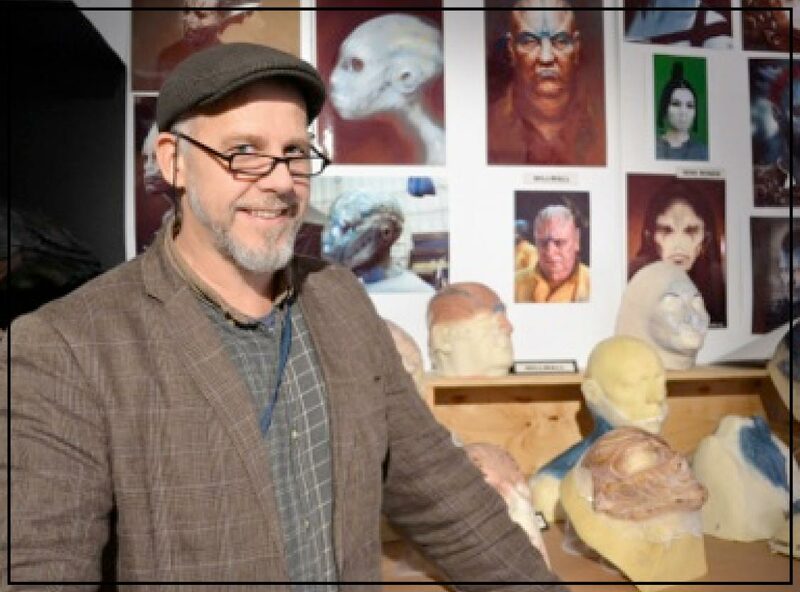 We’re thrilled to announce our Headline Artist at the Prosthetics Event will be DAVID WHITE, one of the film industry’s most prolific names in the field of prosthetics and the makeup FX and prosthetics designer of this year’s summer blockbuster ‘Guardians of the Galaxy’. In the past four years alone David has created the prosthetics for seven big budget movies including ‘Captain America, The First Avenger’, ‘Snow White and the Huntsman’ and ‘Thor, The Dark World’. Across a thirty-year career David has become one of the most respected prosthetic make up designers in the industry. He is usually too busy making movies to speak at events, but we’re delighted he’s made time in his schedule to be with us at The Prosthetics Event. He will be in discussion with Neill Gorton about his career and his work on the lecture theatre stage.